Rep. Jessica Fay, D-Raymond, will hold in-district “constituent hours” in Casco, Poland and Raymond in December. Poland - Monday, December 10 from 5:30 p.m. to 7:30 p.m. at the Ricker Memorial Library (downstairs conference room) at 1211 Maine Street. Casco - Tuesday, December 11 from 5 p.m. to 6:30 p.m. at the Casco Town Office, 635 Meadow Road. Raymond - Wednesday, December 12 from 5 p.m. to 6:30 p.m., Raymond Village Library, 3 Meadow Road. 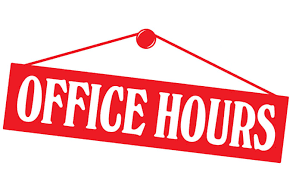 The office hours will provide residents with an opportunity to hear updates from Augusta, ask questions about policy making and share opinions on state matters. Office hours also serve as an opportunity for residents navigating state agencies to voice their concerns. Fay, who represents part of Casco, part of Poland and part of Raymond, was sworn in for her second term on December 5. She serves on the Legislature’s Environment and Natural Resources Committee.